Law Offices of Charles W. Siragusa, P.C. What is the Difference Between Owning Real Estate As Joint Tenants and Tenants by the Entirety? Tenancy by the entirety is limited to a husband and wife and only while they are married. As a result, two unmarried person who wish to have the survivor own the parcel of property and avoid probate would have to own the parcel of real estate as joint tenants, not as tenants by the entirety. There is a legal fiction associated with tenancy by the entirety–each party owns the entire parcel of property. As a result, neither co-owner can deal with the parcel of real estate independently of the other. When a parcel of real estate is owned as joint tenants, however, each owner is treated as owning an undivided one-half of interest in the parcel of real estate. As a result, each joint tenant may deal with his/her undivided one-half of the parcel of real estate without the consent of the other co-owner. Either joint tenant can “sever” the joint tenancy without the consent, or for that matter, the knowledge of the other joint tenant. This means that either joint tenant can transfer (sell or gift) or encumber (place a mortgage on) his/her one-half joint tenancy interest in the parcel of property without the consent of the other joint tenant. Although this feature of joint tenancy provides freedom and flexibility to each joint tenant, it also allows either joint tenant to take unilateral action with regard to their interest in the parcel of property without informing the other joint tenant. As a result, if a joint tenants sells his/her interest in the real estate to a purchaser, the remaining joint tenant owns the property as a tenant in common with the purchaser of the one-half interest in the real estate that was sold. Since a joint tenant has the legal right to take unilateral action with regard to his/her joint tenancy interest, either joint tenant can file a lawsuit called a “partition action,” to have the property divided or sold at a partition sale. This is an absolute right of each joint tenant, so the other joint tenant cannot contest the right of the other joint tenant for such a court judgment ordering partition. Also, the judgment for partition severs the joint tenancy. But, when a parcel of property is owned as tenants by the entirety by a husband and wife, neither spouse can file a partition suit to have the parcel of property divided or sold. A judgment or other lien against one spouse who owns a parcel of real estate with the other spouse cannot be enforced against the parcel of real estate if it is owned as tenants by the entirety. As a result, if the spouse against whom the judgment has been entered dies first, the lien cannot be enforced against the parcel of real estate that the spouses own as tenants by the entirety. If, however, two spouses own a parcel of real estate as joint tenants, the judgment against one of the two spouses can be enforced against the parcel of real estate. Specifically, the judgment against one spouse can be enforced by a levy against the parcel of real estate, which will be sold at a judicial sale. The result is that the non-debtor spouse will then own the parcel of real estate as tenants in common with the purchaser of the one-half interest at the judicial sale. Obviously, then, it is preferable for two spouses to own property as tenants by the entirety, since it protects the parcel of property from the creditors of only one of the two spouses. It should be noted, however, that a judgment creditor or other lienor against the interest of a deceased spouse has no claim against a parcel of property owned in joint tenancy after the parcel of property has passed to the surviving spouse upon the death of the other spouse. The difference between ownership of a parcel of property as tenants by the entirety and joint tenancy with respect to a creditor of only one spouse is true in bankruptcy also. A creditor in bankruptcy of only one spouse cannot levy upon, or reach, the parcel of property owned as tenants by the entirety. If, however, the parcel of property is owned as joint tenants, the bankruptcy trustee will take over the joint tenancy interest of the joint tenant filing bankruptcy. The result is that the joint tenancy is severed, and the non-debtor joint tenant then owns the parcel of property as tenants in common with the bankruptcy trustee. If a parcel of property is owned as tenants by the entirety, the interest of a spouse found guilty under federal or state law is not reachable by the government as long as the parcel of real estate is owned as tenants by the entirety. If the property, however, is owned as joint tenants, the undivided one–half interest of a spouse found guilty under any of the federal or state laws that provide for property forfeiture is subject to being lost. 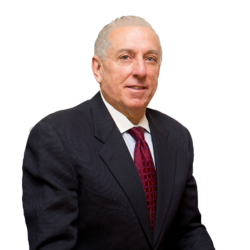 If you have questions about owning real estate as joint tenants or owning real estate as tenants by the entirety, please reach out to Charles W. Siragusa. He can answer all your questions about this and any real estate law inquiry in the Chicagoland area. What is the Difference Between Owning Real estate as Joint Tenants, Tenants by the Entirety and Tenants in Common? The three forms in which you can own real estate is as joint tenants, tenants by the entirety or tenants in common. Each of these three forms of ownership is different from the others in one or more ways. There is a single common feature between owning a parcel of real estate as tenants by the entirety and as joint tenants, assuming that there are two co-owners; when one of the two co-owners dies the interest of the deceased person automatically, by operation of law, goes to the survivor. This means that the survivor owns the entire parcel of real estate upon the death of the co-owner. This also means that neither of the co-owners can transfer his/her interest in the property upon the death of the co-owner. A parcel of real estate owned as tenants in common has one important distinction from ownership as tenants by the entirety or as joint tenants–if one of the owners dies, the interest of the other does NOT go to the survivor. Rather, the interest of the deceased person goes to the heirs of the deceased person or to the person or persons designated in the will of the deceased person. If you have questions about owning real estate as joint tenants, tenants in common, or owning real estate as tenants by the entirety, please reach out to Charles W. Siragusa. He can answer all your questions about this and any real estate law inquiry in the Chicagoland area. What Exemptions for the Payment of Real Estate Taxes Exist for Residential Real Estate in Cook County? There are four exemptions, three of which are actually reductions, for real estate taxes for residential real estate in Cook County. These exemptions are the general homestead exemption, the senior citizen’s homestead exemption, the homestead improvement exemption and the senior citizen’s assessment freeze exemption. In actuality, the first three mentioned exemptions are not really exemptions in the sense that you do not pay real estates. Rather, the general homestead exemption, the senior citizen’s homestead exemption and the homestead improvement exemption each provide a separate reduction in the real estate tax bill for your home, if you live in Cook County and qualify for the particular exemption. 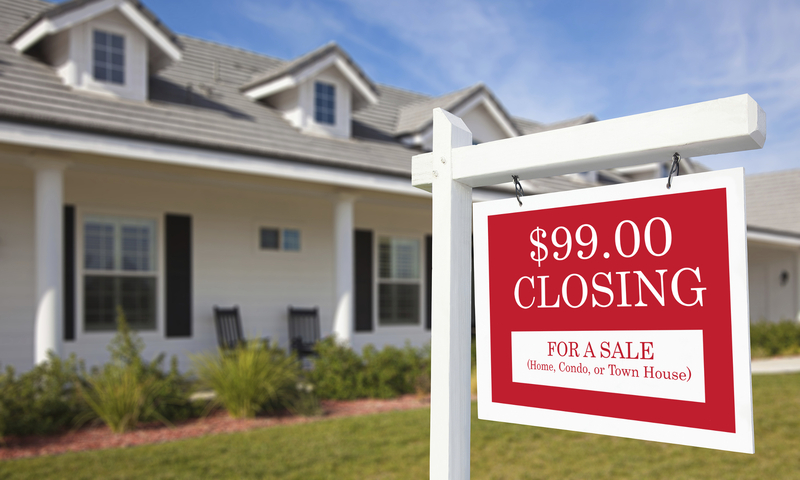 The senior citizen’s freeze exemption “freezes” the assessed value of your home. It is important to note that all of these exemptions, except the home improvement exemption, are available to you only if live in the property, as of a certain date, for which you are seeking the exemption. Charles W. Siragusa has offices conveniently located in Cook County, Lake County, and DuPage County ready to service clients in Evanston, Oak Park, Cicero, Orland Park, Park Ridge, Rosemont, Schaumburg, Skokie, Westchester, Deerfield, Glenview, Hoffman Estates, Lake Forest, Northbrook, Burr Ridge, Lisle, Naperville, Oak Brook, and Warrenville.